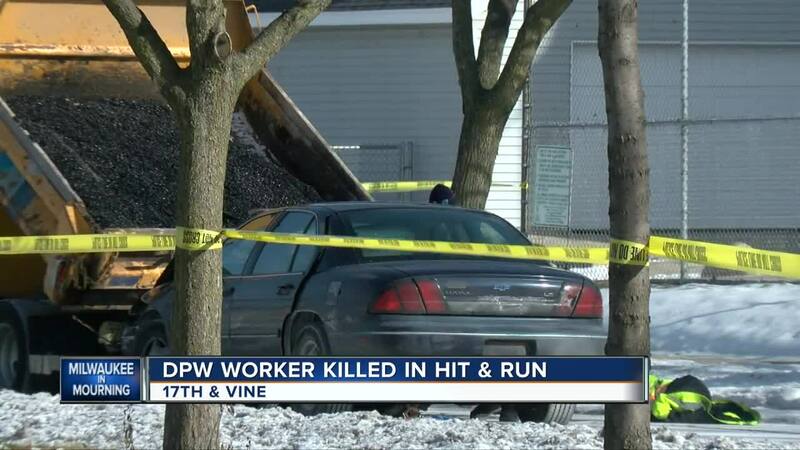 A DPW worker was killed while filling potholes near 17th and Vine Friday. MILWAUKEE — Bryan Rodriguez, a 54-year-old Milwaukee man, was the DPW employee who was struck and killed while filling potholes Friday morning. Rodriguez, who was married and has children, was transported to a local hospital, where he died. The hit-and-run accident occurred at 17th and Vine about 8:15 a.m. Friday. The driver fled from the vehicle, leaving it on scene, according to police. Milwaukee Mayor Tom Barrett said police have a suspect in custody. Check back throughout the day for updates on this story.